New Directions Publishing Corporation, 9780811219914, 78pp. 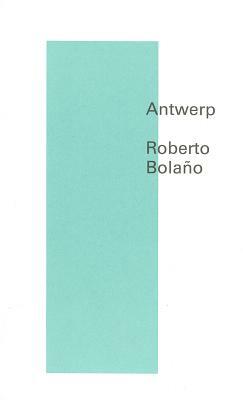 Written when he was only twenty-seven, Antwerp can be viewed as the Big Bang of Roberto Bolano's fictional universe. This novel presents the genesis of Bolano's enterprise in prose; all the elements are here, highly compressed, at the moment when his talent explodes. From this springboard--which Bolano chose to publish in 2002, twenty years after he'd written it ("and even that I can't be certain of")--as if testing out a high dive, he would plunge into the unexplored depths of the modern novel. Voices speak from a dream, from a nightmare, from passersby, from an omniscient narrator, from "Roberto Bolano." Antwerp's fractured narration in fifty-four sections moves in multiple directions and cuts to the bone.